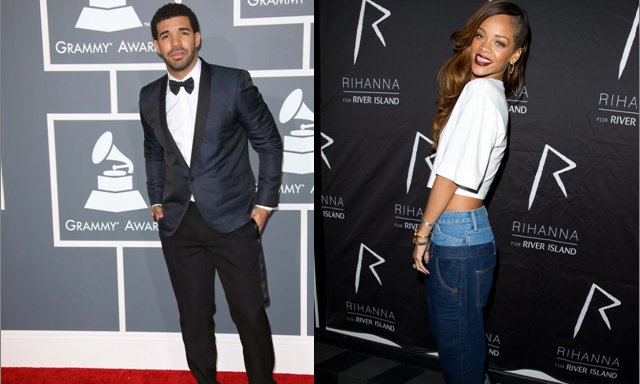 Drake and Rihanna: It seems like nobody believes that Drake and Rihanna are just friends. Who doesn’t twerk their booty on a friend any chance they get? It’s time to let this rumor go! They aren’t a secret couple, contrary to the anonymous sources that keep popping up in the press. Recently Drake was asked point blank if he was dating RiRi and his answer was that they are just friends. That is not to say that they do not practice being friends with benefits from time to time. Why shouldn’t they? They are both attractive adults, so why not help each other maintain pleasure when necessary? It would be nice to see these two in a relationship with each other, or with whoever makes their heart skip a beat. It looks like Drake and Rihanna aren’t making time for romance, though. They are both working, traveling, and involved in their careers. However, look for Rihanna to be in the relationship by the end of the summer. Eva Longoria and Jose Baston: Looks like the third time’s the charm for Eva Longoria. She walked down the aisle with Jose Baston, President of Televisa, Latin America’s largest media company. This is Longoria’s third marriage and it looks like her last. The celebrity couple was married in Mexico in front of A-list guests. It would seem Longoria has hit the jackpot with Baston. He sees her as his equal and loves that she is a strong and passionate woman. After two failed marriages, Longoria knew exactly what she was looking for in a partner. She has definitely found the right one this time around. Before the wedding, they had already been calling each other husband and wife. I see a new dog in their future and a discussion about children. Right now a baby is a possibility, but if Longoria is not pregnant by next year, more than likely the couple will not have children together. Either way, they will continue to be just as happy as ever. Lea Michele and Robert Buckley: Lea Michele has not been so lucky in love. That is not to say that she isn’t trying. She dated that so-called model/actor and ex-gigolo Matthew Paetz, who allegedly broke her heart. Then there was her boyfriend and Glee co-star, Cory Monteith, who died of a drug overdose. Most women would have locked up their heart and thrown away the key. Despite these negative experiences, Michele is currently dating actor Robert Buckley, and says that she is very happy. That’s definitely good news. It’s nice to see her find love again. Where is it all going? That remains to be seen. Michele wants to be married with kids but not necessarily right now. It looks like it’s on her mind. Buckley may not be the guy she walks down the aisle with, but he is getting her ready for when the time is right.